AFRICANGLOBE – Namibian President Hage Geingob described him as his icon. He has also made an immediate impression on newly-elected Nigerian President, Muhammadu Buhari, who has described him as the African hero. The man receiving such plaudits is none other than Zimbabwean President, Robert Mugabe. Like old wine, the current African Union (AU) chairman is maturing with age. 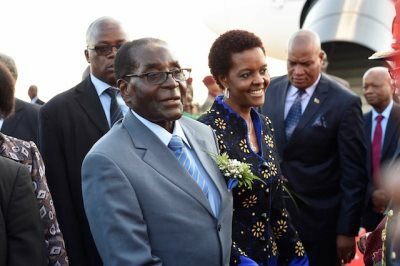 As the just-ended AU Ordinary Summit testified, Mugabe is not only popular among fellow African leaders but seen as a hero by the ordinary populace, many for years downtrodden by years of colonialism and imperialism. Lerato Tshabalala of South Africa said she was glued to her television set during the 25th AU Summit in Sandton, Johannesburg in anticipation of presentations by the Zimbabwean leader, who is also the chairman Southern African Development Community regional bloc. “When he speaks, he does so without contradiction especially about the need to safeguard the continent’s raw materials, which are being exported to Europe and America. In Mugabe, here we have a true visionary and true African hero,” she said. Like many youth, she conceded she was sceptical on the 91-year-old leader. “I used to hate Mugabe with passion for making Zimbabweans come in millions to our country South Africa, but now, my eyes have been opened. I now see, know why the Zimbabwean economy was deliberately plunged by West as they sabotaged it in order to instil fear in other African nations wishing to take the Zimbabwean route – taking away land and other mineral resources stolen by whites,” Tshabalala said. Ethiopian law student, Fabby Saleh, said the demonisation of African leaders such as Mugabe should not be allowed to go “unchallenged”. “We have other African heroes anointed by the West for championing the West cause, but in Mugabe, we have a true hero who stands for the African agenda. “The difference between Mugabe and other African ‘heroes’’is that is so consistent in talking and walking the African way while other leaders in the continent talk Africa during the day and walk European at night,” Saleh said. Henrietta Demingues, from neighbouring Mozambique, said she had supported Mugabe since Zimbabwe supported Mozambique end a rebellion from the Mozambican National Resistance (RENAMO). “Some of us who have been older in the 1990s will tell you how good Mugabe is! He walks the talk. He is a true African hero who should be allowed to mentor Dr. Nkosazana Dlamini-Zuma become South Africa’s president so that the country behaves the African way,” Demingues said. Demingues was referring to calls by the International Criminal Court for the arrest of Omar al Bashir, who was in South Africa for the AU Summit. African nationals accused the ICC of selective application of the law, as well as the international media of propaganda. Recently, former British Prime Minister Tony Blair was hailed as a hero when he was in South Africa to officially open the Mining Indaba. He and United States counterpart George Bush have not been held to account for the estimated 800 000 Iraqis killed when forces invaded the Middle East accusing the then president Saddam Hussein of possessing weapons of mass destruction. “If these people are serious about President al Bashir, why not arrest Blair, Bush and all apartheid former leaders, who own farms, large chunks of diamond land and big businesses that supported apartheid,” questioned Igwe Ogenyi Lawal, a Nigeria businessman in Johannesburg’s Hillbrow suburb. “This is why we see Mugabe as the true hero of Africa. We know that many of his people (Zimbabweans) have been scattered across the world in search of greener pastures, but we also know that Zimbabwe’s economy was sabotaged by the West in order to instil fear in other African nations not dare touch what was stolen from them by white people,” Igwe Lawal said. As such, so-called human rights groups such as Southern Africa Litigation Centre (SALC), which have over the years sought the arraignment of African leaders, were accused of making a mockery. The AU Summit, under the leadership of Mugabe, should be commended for resisting to pressure of the ICC to arrest the Sudanese leader. “The values were to defend Africa from new forms of colonial oppression being masterminded by the West, which these days manifest in forms on human rights, rule of law and the so-called democracy while the Western world leaders who committed heinous crimes do not recognise these laws,” said an analyst.